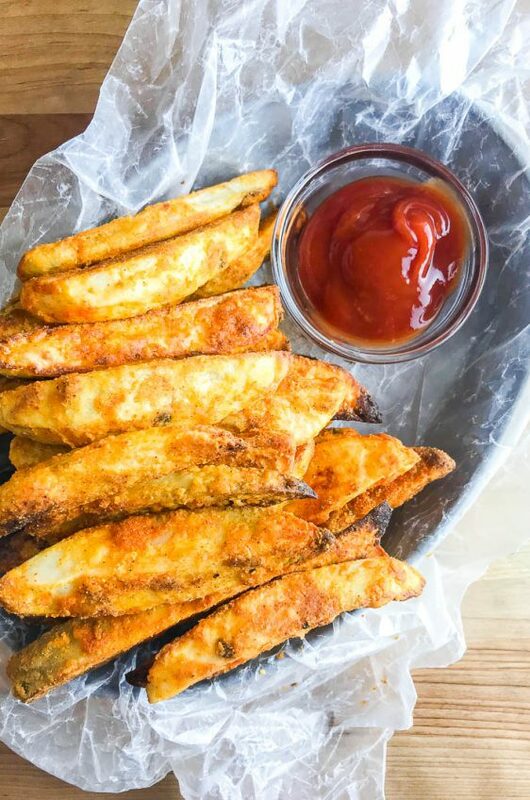 Spicy Fried Peanuts are your new favorite snack! 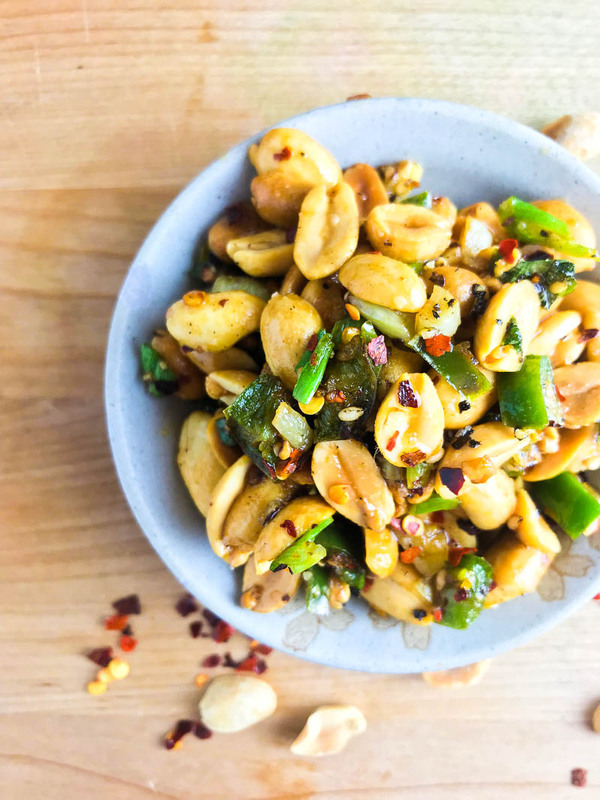 These peanuts are fried in hot oil, sesame oil, garlic, Serrano peppers and crushed red peppers. A little heat and a whole lot of flavor! Now that I make my own Hot Chili Oil, I always have some in the fridge. I love using it for stir fry, egg rolls and just about any recipe I can add it to. I just recently made Dan Dan Noodles with it and Oh my word! SO good. Now I’m using it for these Spicy Fried Peanuts. When we go out to our favorite Chinese place, one thing we always have to get is Salt and Pepper Calamari. My youngest will eat all of the calamari, but my oldest goes for the delectable spicy fried peanuts that they scatter on top. 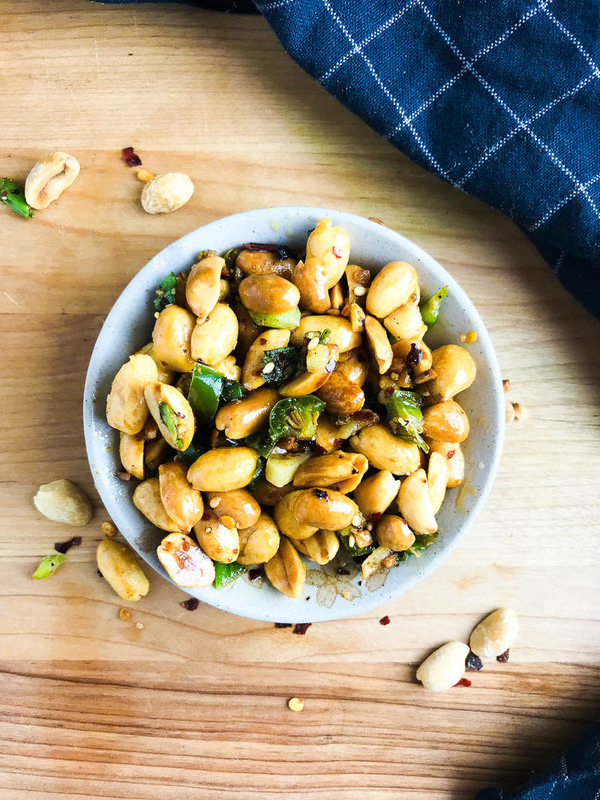 This Spicy Fried Peanuts recipe is my take on those and they will be perfect for your upcoming game day snacking too! 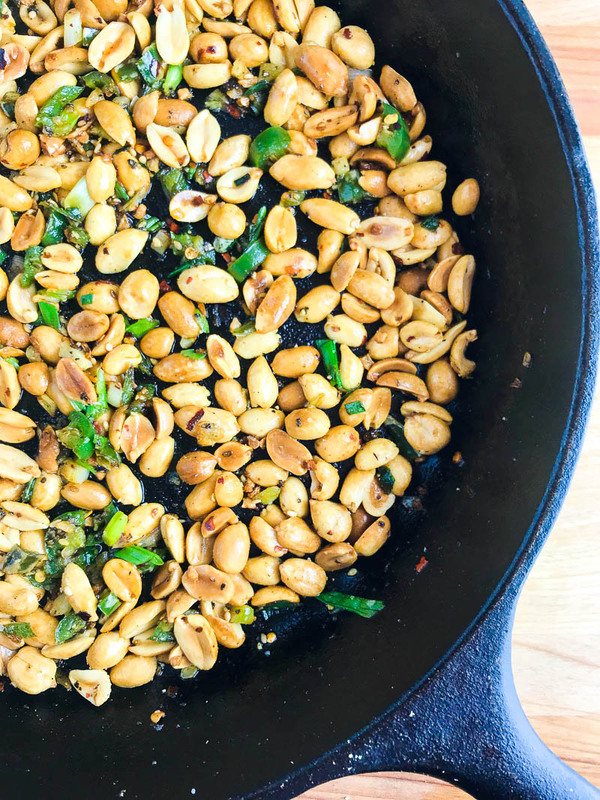 What ingredients do you need to make Spicy Fried Peanuts? As you can see, these peanuts are not in the shell. You’ll want to buy peanuts that are already roasted and they can be salted or unsalted. For my recipe testing purposes, I used unsalted. If you do buy salted peanuts, you will likely want to use less salt than the recipe calls for. For the heat part of the recipe, I use the chili oil I mentioned above, crushed red peppers and a diced Serrano pepper. You could use jalapeño too. One of the great things about these is that you can adjust the heat to your tastes. If you want it less spicy, omit the extra crushed red pepper and remove the seeds from the Serrano. 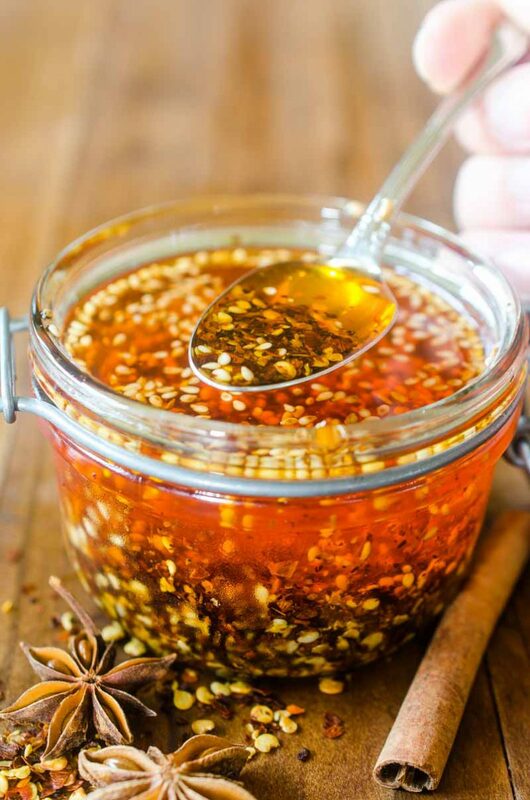 If you want to make it spicier, instead of using only one tablespoon of chili oil, use two (omit the canola oil). Want even more spice? Add some more crushed red pepper. The heat level is completely up to you! 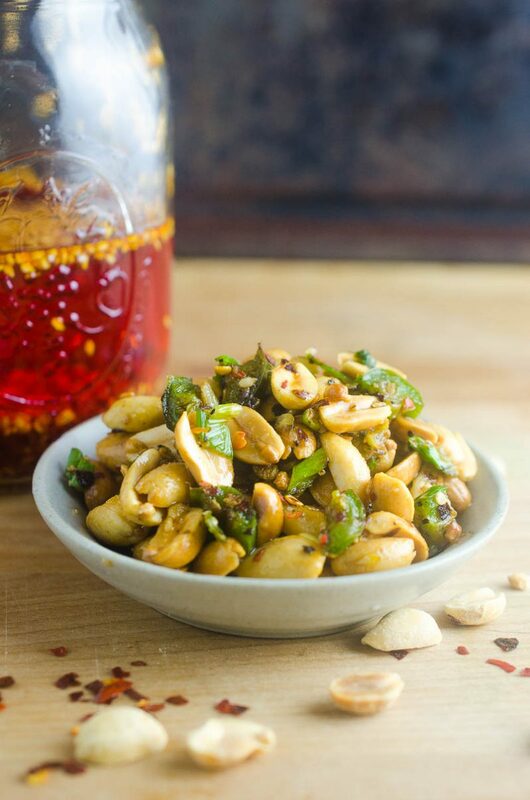 How do you make Spicy Fried Peanuts? Heat oils in a skillet. Then add in the Serrano pepper and peanuts and cook just until the peanuts start to brown. Finally, add in the garlic, remaining crushed red pepper, salt, pepper and green onion. I like to add the garlic in last to make sure that it doesn’t burn. 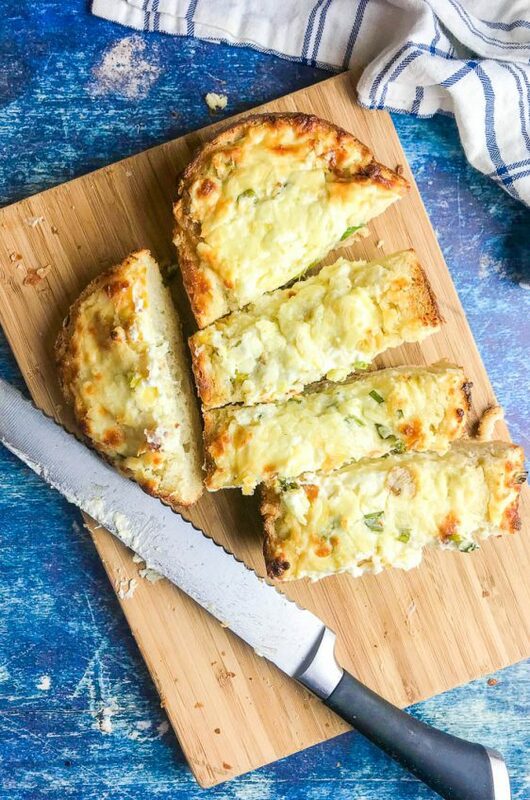 These are great served warm right out of the pan and they are pretty good cold too. I barely got the chance to take pictures the peanuts were so popular here. If your family loves spicy food as much as we do, they’ll be gone in a flash at your home too! Heat chili oil, canola oil and sesame oil together in a skillet over medium heat. Add in Serrano and peanuts. Cook until peanuts start to brown slightly, about 3 minutes. 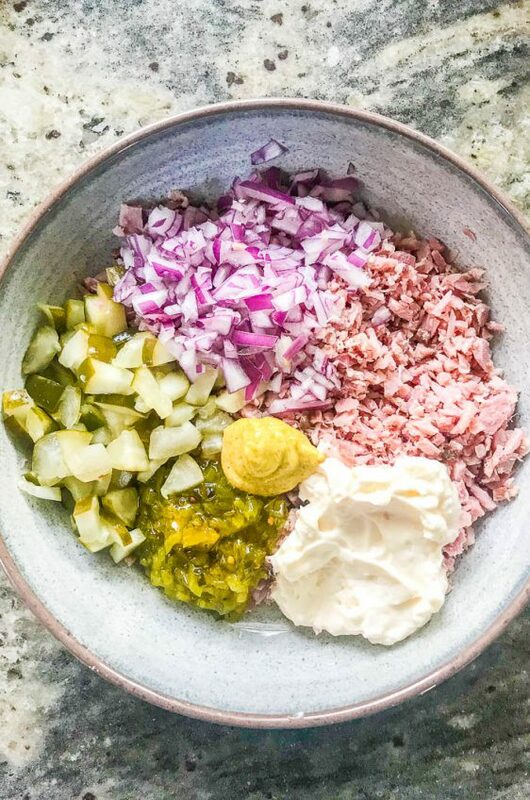 Add in remaining ingredients. Mix well and continue cooking for a couple more minutes. 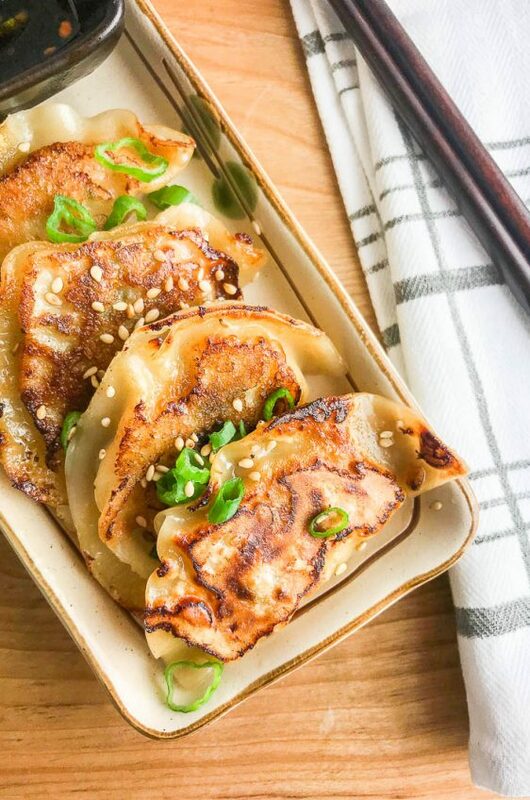 Serve as a snack or on top of your favorite stir fry dish. My husband would LOVE these!!! I can’t wait to make them for him! 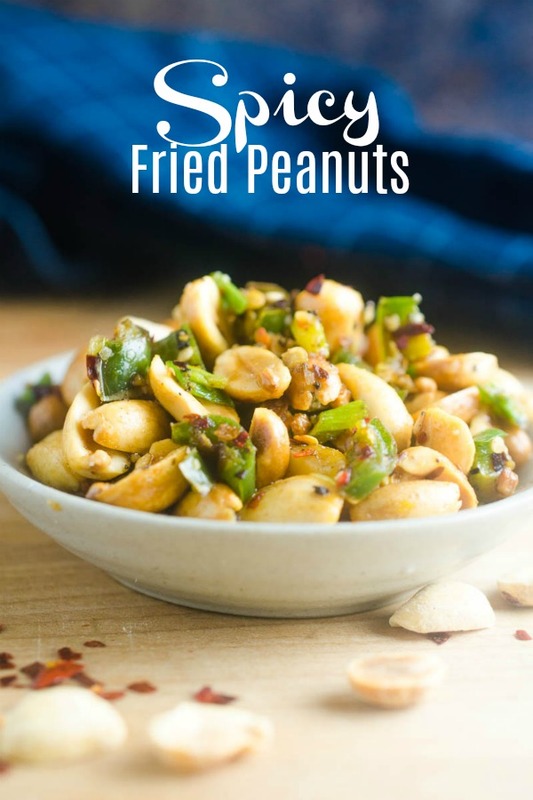 These spicy fried peanuts look heavenly! 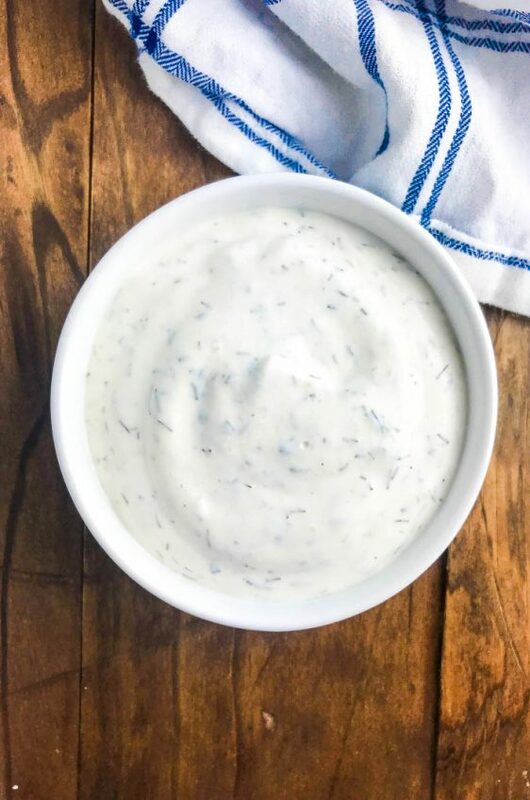 Perfect for an appetizer! Sounds amazing! 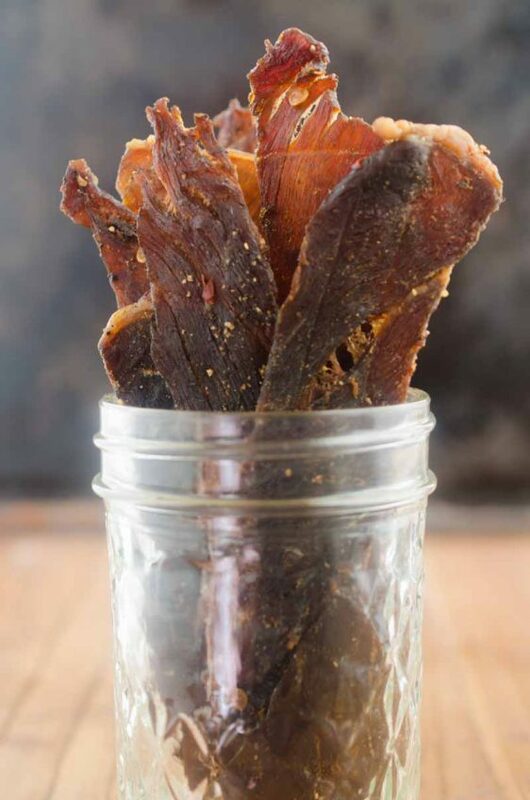 One of my favorite snack, can’t wait to give this a try!